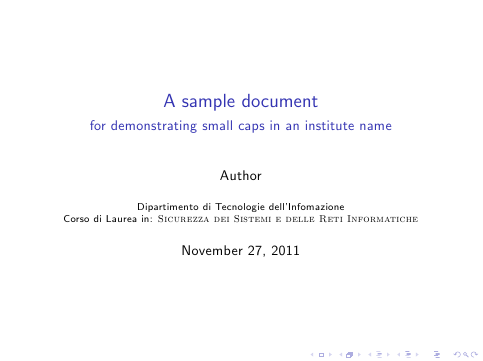 I need to set a piece of my \institute name in small caps in my beamer presentation. So the solution is, choose another font or at least another font weight, family or shape of which there's a small caps variant. Not the answer you're looking for? Browse other questions tagged fonts beamer small-caps . Why can't I combine superscript and small caps in my beamer presentation?